High-tech solutions like the court reporting technology CourtScribes provides make the courtroom run more smoothly. And there are other important technological advances coming to courtrooms as well. 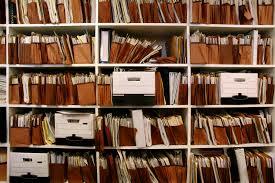 One of them that increases efficiency and saves time and money is electronic filing. For example, the Indiana Supreme Court is turning to electronic filing to reduce the paperwork that was created by the 1.3 million cases filed in Indiana’s state courts in the past year, The Statehouse File of Franklin College reported. Indiana Supreme Court Chief Justice Loretta Rush said in the court’s 2017-2018 annual report that the goal is to switch almost every county court system to electronic filing over the next year. Part of the problem is that more than a million cases being filed each year, courts are running out of room to file and store the paperwork, and electronic filing will create a more efficient, more accessible system while saving the court system money. The electronic document filing system, along with new notification systems, will also help create more transparency among the courts and the public, Rush said. The court system also recently started sending reminder messages to defendants via text reminding them of important appointments like court dates. Counties in the system have sent more than 160,000 text reminders in the past month alone. “There was a real push with the courts with regards to advancing technology. We had about 90 percent of our counties involved in electronic filing in some form and we had 80 percent of our counties in a unified case management system,” Rush told The Statehouse File. “We have a team in court administration for technology working on cyber security,” Rush said.